where can i buy the beds? The beds were custom-made to our design by a local millwork shop. Ottoman - I LOVE that ottoman! Can you please tell me where I can find it? Thank you. Any idea where the lamp came from? thanks! Where can I buy that light? Ceiling -Pendant...Love It!! Would love to know where the light is from?!?! Fabric? - What fabric did you use for the shades? Where can I purchase the ottoman? LOVE these beds.. pls share! - I am doing a nautical boys room for twin boys (2 double sized beds).. do these beds come in size double and where can I find them? Please be so kind to share. Sorry, I don't know who makes them, but if you are on a tight budget you could add black hardware to the Ikea Brimnes bed. Hope you find what you are looking for! Beautiful inspiration shot, by the way. Does this room have four beds? What color did they use on the walls? Light fixture - Please I need to buy this light fixture! Where can I find it? 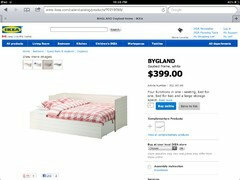 Boxsprings on beds? - Love the beds with the drawers....do it allow for a boxspring and a mattress when you have drawers on the base? Thanks for your help!! trying to paint wood walls like this. Did you use semi-gloss/flat? - would love to know paint finish on walls please. Wonderful details! Can you tell me what was used on walls?Thanks!